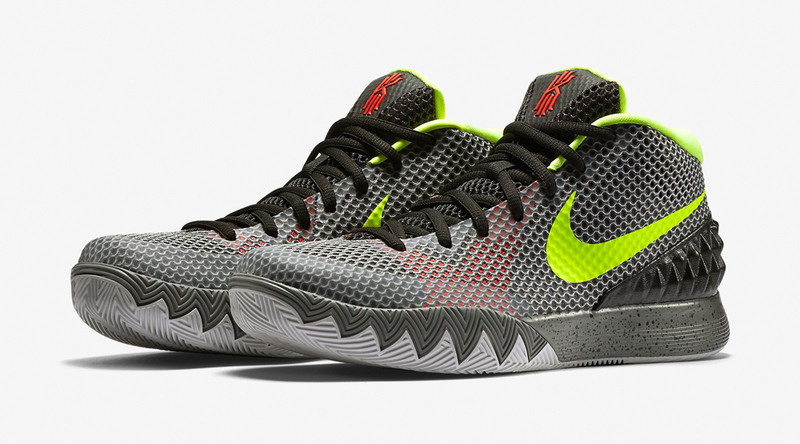 The Nike Kyrie 1 colorway previews continue with this new "Deep Pewter" release. 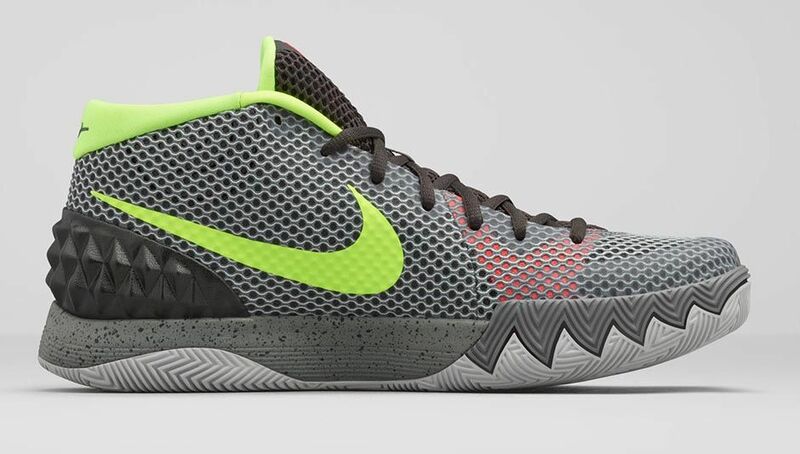 Pewter pairs from Nike have previously been more shiny than this, but this pair ignores the metallic luster route and has a stony look to it instead. 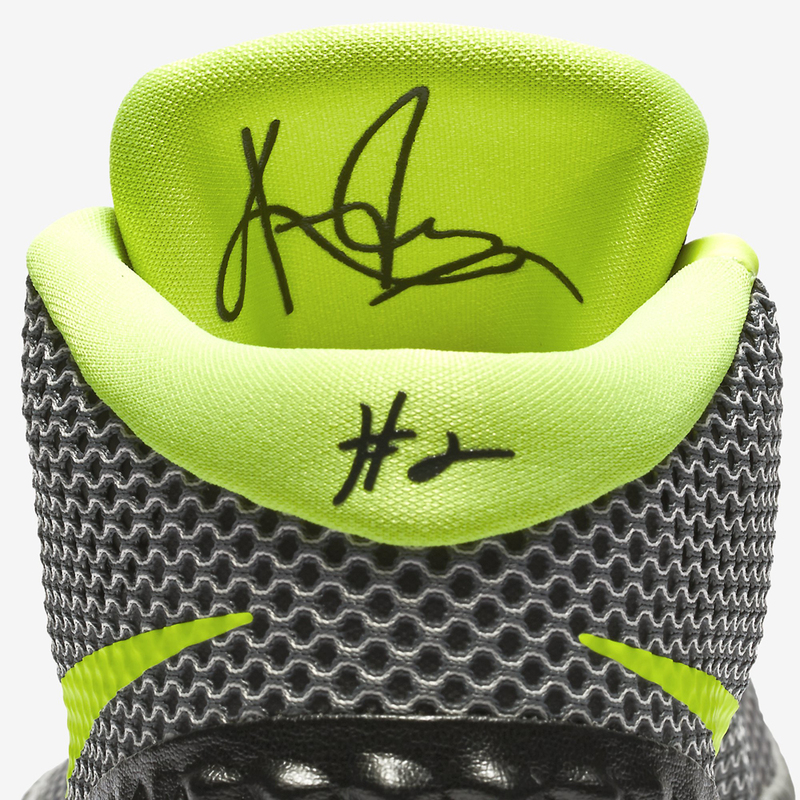 The sneaker features a couple different shades of grey across its upper, some lime accenting on the Swoosh and lining, and speckled soles towards the back half of the shoe. 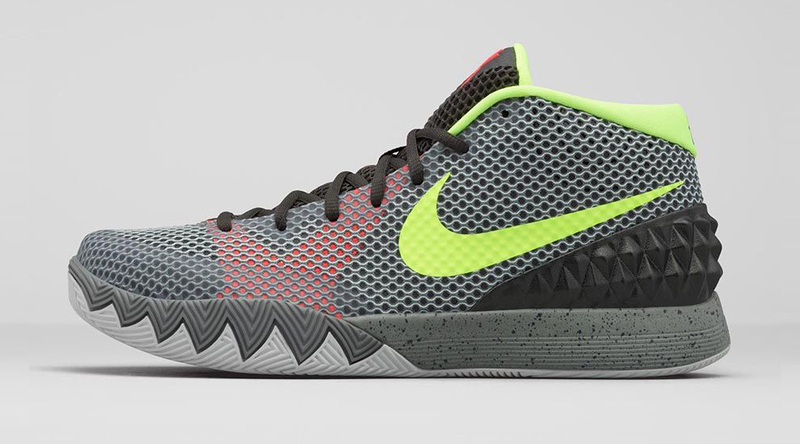 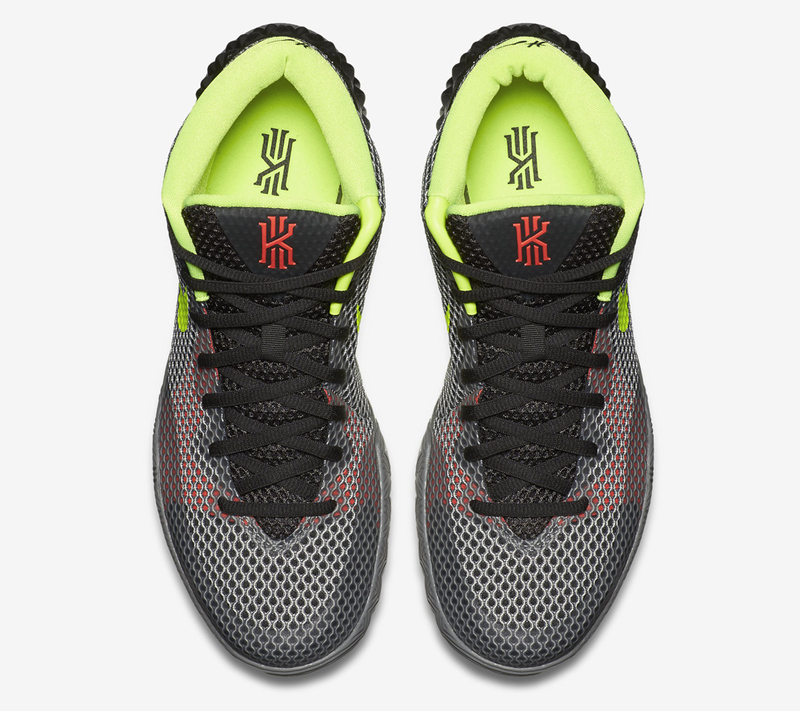 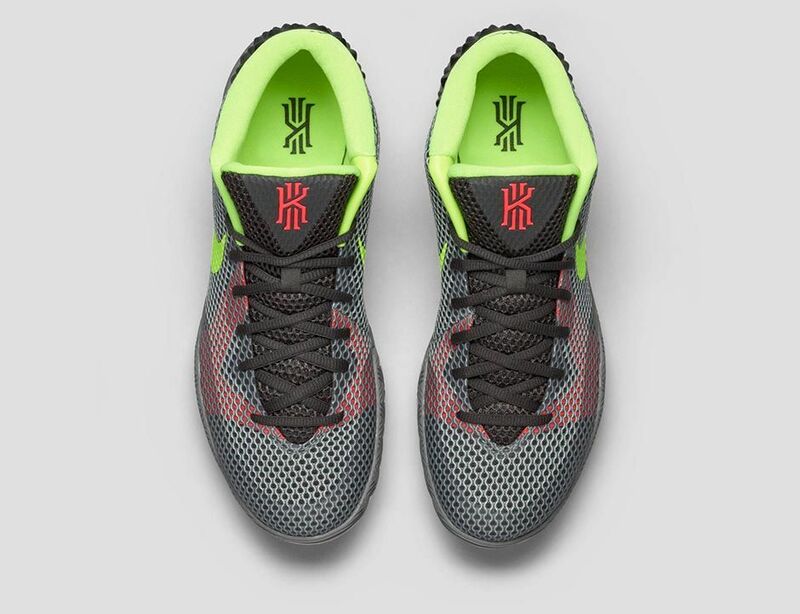 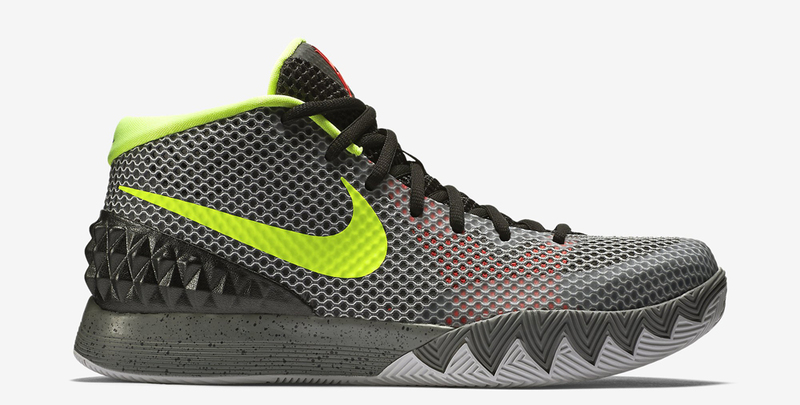 Unfortunately this Nike Kyrie 1 hasn't popped up on any sneaker release date calendars yet. 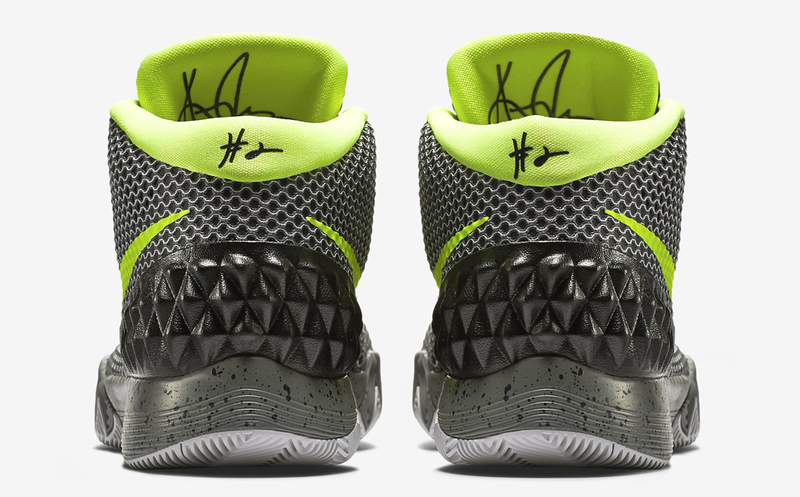 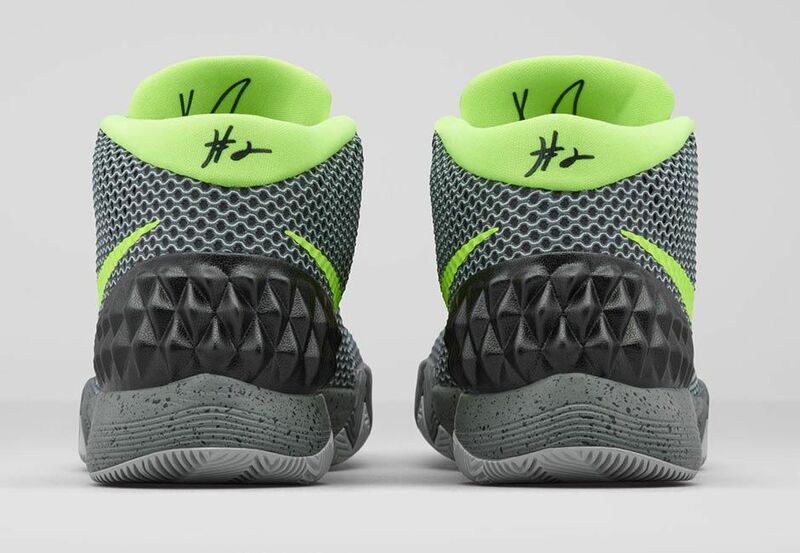 UPDATE 7/15: The official release date for the "Dungeon" Kyrie 1 is July 22. 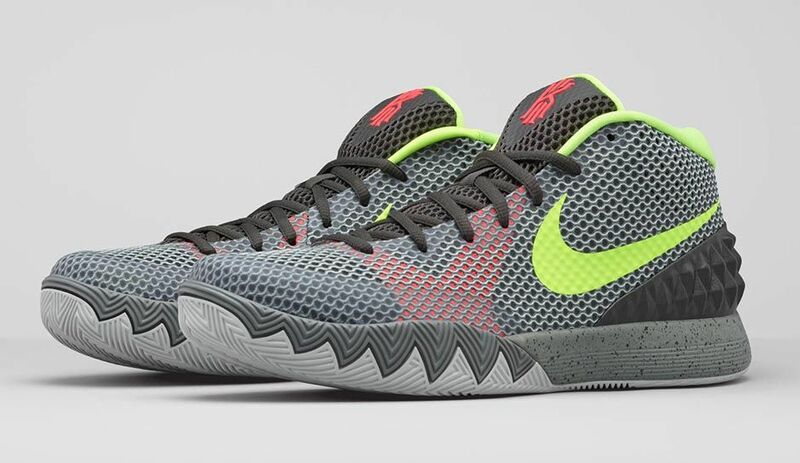 The shoe's name is a reference to Kyrie's childhood basement, nicknamed "The Dungeon," where he would work out.